Whenever you are choosing your air-conditioners for your home or office, it is best to choose an air-conditioner system which is able to last you the longest and at the same time provide cooling to your room or office. It is important as you wouldn’t want to purchase an air-conditioning system that is unable to cool down your room or home in a hot and stuffy weather in Singapore which can cause you frustration instead. 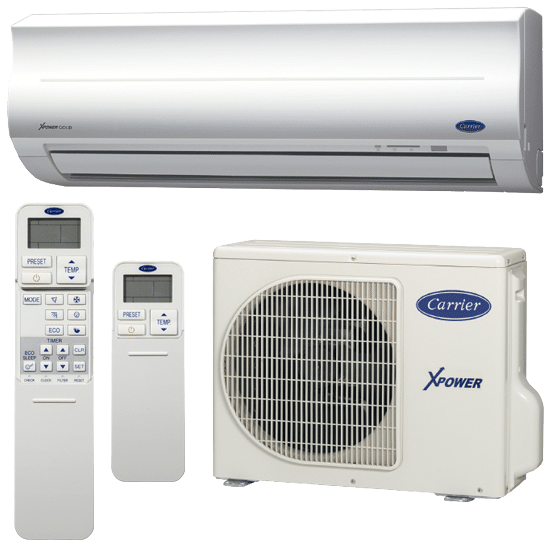 Carrier aircon Singapore has been one of the longest established air-conditioning brand in Singapore. Carrier air-conditioner is well-known for its reliability and quality which are able to withstand from the harsh weather in Singapore. Carrier air-conditioner has been striving to manufacture the best air-conditioner across the industry and provide consumers with the best quality products. Carrier aircon Singapore not only produce air-conditioners for the residential consumers but also the commercial and industrial clients. However, in any case that you ever encountered aircon problems from your carrier system, do not worry as our experienced technicians are able to provide you with quality Carrier aircon servicing and repair in Singapore. Carrier is one of the reliable and leaking HVAC manufacturers across the world, especially in Australia. They are well-known for its quality, long lasting and reliable air-conditioner that can withstand harsh weather. With their quality products, they have built up their own solid reputation across the world. Despite their quality air-conditioner, it works the same as other air-conditioner brands or machinery where problems will eventually arise without any warnings. This will cause you great discomfort, troubles and causing you to suffer from the unbearable heat in Singapore. However, you do not have to worry when you faces problems with your Carrier system as we are specialised in servicing Carrier aircon, repair, maintenance, chemical wash and even installation of different types of air-conditioner system. Hence, we are confident that we are able to restore the functionality and coolness of your Carrier air-conditioning system. With the rising hot weather in Singapore, it is essential to take good care of your Carrier air-conditioning system by having regular Carrier aircon servicing in Singapore. There are many benefits in engaging regular aircon servicing for your air-conditioners such as cleaner system, increase efficiency, improve air flow and many more. With years of experience in servicing different brands and types of air-conditioner, including Carrier air-conditioner, we are confident in meeting all your air-conditioning needs in Singapore. Air-conditioner in Singapore plays an important role in our life. It has become an essential electrical appliances in each household due to the extreme hot climate in Singapore. Everywhere you go, there will definitely be air-conditioners installed, such as shopping malls, offices, houses, church, cafes and many more. With the constant operations of your air-conditioning system, it will surely undermine the performance and the condition of the system, this applies to carrier units too. Hence, there will be times where you will be facing aircon problems from your Carrier system, this is where you require Carrier aircon repair in Singapore. We provide quality aircon repair services in Singapore with our well-trained and experienced aircon technicians that specialise in Carrier air-conditioner. You may face issues such as aircon water leaking, aircon not cold, aircon not working or other issues. However, fret not as we are well-trained in performing Carrier aircon repair services in Singapore. Thus, we are able to check, diagnose the cause of your issues, provide solutions and repair your aircon issues efficiently. Feel free to contact us if you are facing any aircon problems on your carrier air-conditioning system. Carrier air-conditioning system works the same as other air-conditioner brands where regular servicing is required to upkeep the system. However, if your carrier units are not being regularly serviced, there will be dust, dirt and debris accumulated in the units. Over time, this will affect the performance and the condition of your air-conditioner, resulting in reduced efficiency and coolness level. Most importantly, this will affect the air quality in your home or office and those harmful substances may be inhaled by you or your family which may even cause health issues. Therefore, in this situation, Carrier aircon chemical washing is able to regain the functionality and cleanliness of your Carrier system. Chemical cleaning is one of the effective aircon services in the industry where it is able to thoroughly wash out all the dirt, dust and even bacteria. Thus, regaining the clean and fresh air and improve the cooling efficiency and overall performance of your Carrier air-conditioner. Depending on the condition and environment of your air-conditioner, some may require a chemical wash at an earlier interval due to excessive usage. Other than providing repair services in Singapore, we also provide Carrier aircon maintenance and servicing services in Singapore. As mentioned above, if your air-conditioning units are not being regularly serviced, it will build up dust, dirt and debris in your air-conditioning units which is unhealthy and harmful to our body when we inhale all these unhealthy air. Hence, it is essential to engage regular Carrier aircon maintenance to keep your air-conditioner in top-notch condition and keep your units clean. We provide quality maintenance for your Carrier air-conditioning units where our technicians have the expertise, knowledge and experience in Carrier air-conditioning maintenance. This will give you a piece of mind as you know that your air-conditioning units is in good working condition. By engaging our Carrier maintenance services, we can ensure that your air-conditioning system will be in good hands. There are many benefits from regular maintenance such as improve airflow, cleaner air, increase coolness, reduce the possibility of breakdown and many more. Contact us to find out more about our maintenance contract services. Other than providing aircon servicing, chemical wash, repair and maintenance services, we also provide Carrier aircon installation in Singapore. With years of experience in installing different types and brands of air-conditioner in Singapore, we believe that we are able to provide you with quality aircon installation in Singapore. We also provide Carrier aircon replacement services in Singapore. Our air-conditioning installer has years of experience in the air-conditioning industry. They are the experts in performing replacement of carrier air-conditioner in Singapore. We have the tools and equipment in performing aircon replacement services and we believe that we are able to meet all your air-conditioning needs. Despite the reliability and stability of the Carrier air-conditioning system, with the long usage of the system, it will undermine the condition and performance of your air-conditioner system. This will often lead to aircon issues such as aircon water leaking, aircon not cold, faulty parts, electrical faults and many more. Some problems can be easily rectified by repairing the parts or removing the dirt that have built up through services such as carrier aircon chemical cleaning services. However, in more serious cases, replacement of parts or even the whole aircon unit is required. It is risky and dangerous if you attempt to fix or repair the units yourself since air-conditioning system consists of many complex parts and components which requires experience and expertise to repair or replace it. If you encounter any problems, you can engage us for Carrier aircon repair services. We use the latest diagnostic equipment to check and diagnose the cause of your aircon problems. After diagnosing the cause of the issue, we will advise you on the possible solutions to rectify and fix your Carrier air-conditioning system. Carrier aircon strive to meet and exceed customers’ air-conditioning needs. By doing so, this gives them a competitive advantage as compared to their competitors in the air-conditioning industry. Their perseverance and hard work in providing the best customer service have paid off. This has allowed them to stand out in the industry and being one of the top air-conditioner manufacturers in Australia. In the industry, there are almost none that guarantees that their air-conditioner is able to last a lifetime. However, Carrier strongly believe that their air-conditioning units are able to last for a life time. They have gained trust from over millions of customers across the world, especially among Southeast Asia. At Wei Wei Aircon, our experienced technicians are well-trained to perform Carrier aircon maintenance, servicing and even repair services regardless how old is your air-conditioning system. Hence, we are able to meet your Carrier air-conditioning needs in Singapore. As one of the leading air-conditioning contractor company in Singapore, Wei Wei Aircon are able to provide quality aircon servicing, repair, chemical cleaning, maintenance and installation in Singapore. We are able to maintain your Carrier air-conditioning system professionally and ensure that they are in good working condition. Our teams of experienced technicians have years of experience and technical knowledge in the air-conditioning industry, which they will surely able to meet all your air-conditioning needs in Singapore. By engaging us, we will ensure that your air-conditioner is properly taken care by our quality and efficient aircon services. Book an appointment with us by calling our friendly staff today.